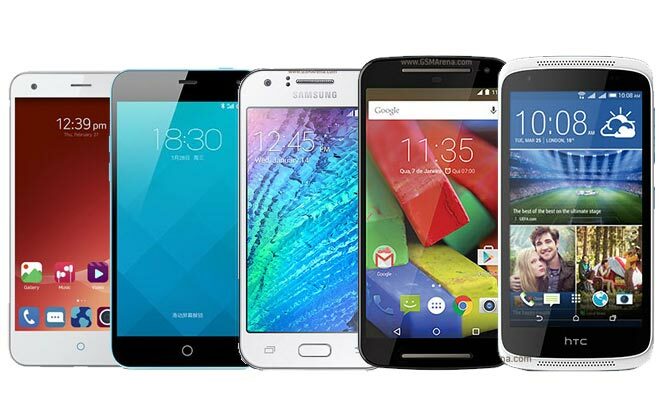 In the last week of January we saw the introduction of a wave of new phones from major players in the industry. Motorola, ZTE, HTC, Asus, Samsung and Meizu outed smartphones to compete in the mid-range and upper mid-range segments. So now, it’s only logical to ask you which one got your interest most. Motorola outed the Moto G 4G (2015) on Friday, but throughout the week we welcomed the ZTE Blade 6, HTC Desire 526G+, Asus Zenfone C, Samsung Galaxy J1 and Meizu m1 to our database. We already discussed the features of each in our summary article and it’s time for you to focus on the poll below. Happy voting! We’ll be sharing the results in a week’s time and check out which phone came on top.